Also, one quick note. Mr. Strong, the veteran in hospice in Asheville, NC that I mentioned recently, sadly passed away. I know many of you reached out to him with a note of thanks and appreciation. From what I hear, he was completely blown away by the outpouring of love that he received. Thank you to all of you who took the time to write him or keep him in your thoughts and prayers. It made an incredible impact. 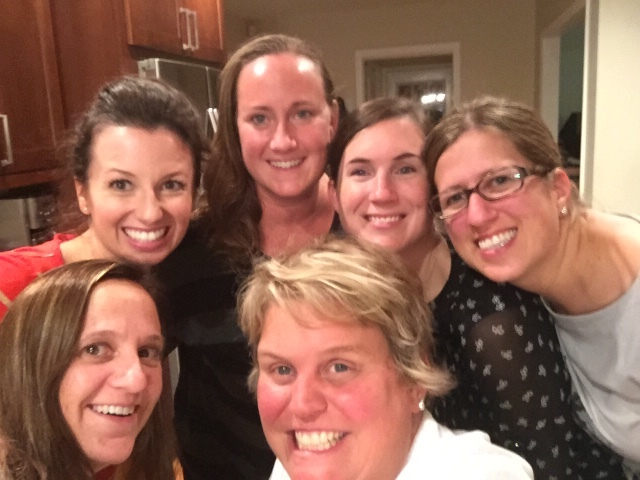 Last night was our monthly Supper Club and I had such a great time catching up with my girlfriends. Plus, my friend Beth made this amazing Frozen Peanut Butter Turtle Pie (recipe here, if you're interested, which you SHOULD be!). It was super rich and delicious. Lick-the-plate delicious. Supper Club is definitely a true highlight of each month, and I feel so fortunate to have these friends in my life. 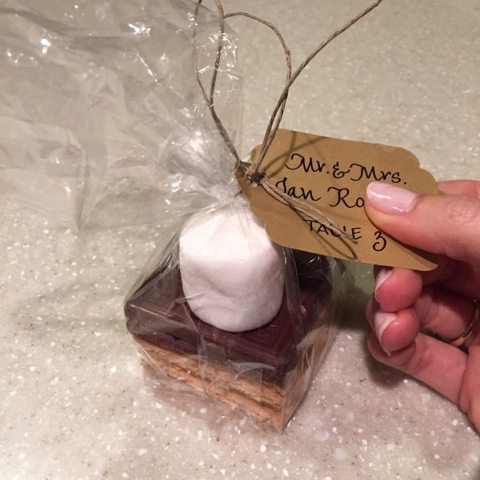 The wedding we went to last weekend was so beautiful, and when it was time to be seated for dinner, we made our way over to a table that had these s'mores bundles with our name and table number on them. Such a unique idea, and we definitely enjoyed this sweet treat the other night! There is nothing like a toasted marshmallow and melty chocolate sandwiched between graham crackers on a gloomy, rainy, chilly evening. Question for fans of the Lilly Pulitzer Elsa tops ... how do you wash yours? They are 100% silk and the tag reads "dry clean only." I recently got a few of these tops (for the first time ever) and I was sort of bummed to think that I would be having to dry clean them each time. I asked some Lilly-loving girlfriends via group texts, and several said to wash on delicate cycle and hang to dry. I did that this week, and ... success! Now, it did dry with some wrinkles in it, so I need to hit it up with some steam, but I am loving not having to go to the dry cleaners. Dry cleaning is expensive, it's one more errand to do, and the chemicals sort of weird me out. I'd love to hear if you always dry clean your silk tops, or if you also clean them at home! We get to see my in-laws this weekend, and I'm really excited! It is going to rain, rain, rain all weekend long, but I'm excited for the opportunity to just relax with family, hang out with my niece and nephew, watch Camille get loved on, and ... maybe sneak downstairs for a little bit and nap and read?! Ha! You've got to love family that is always happy to lend a helping hand while the parents get a little rest! 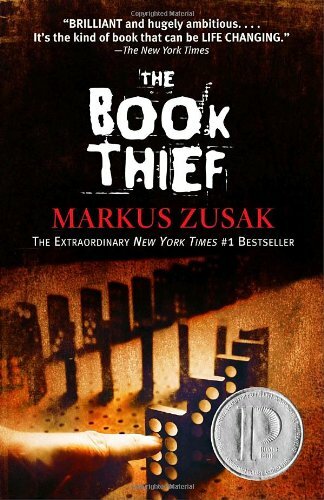 Lastly, thanks to everyone who is interested in reading The Book Thief with me this month (details here)! I think this will be most fun if it stays rather informal ... I don't want people to feel pressured to read a certain chapter by a certain week or anything. Life is crazy busy for everyone in different ways, and some people are speed readers, some people like to read a few pages a night (like me!). So here's what I'm thinking: what if we come up with a fun hashtag to all use, and that way we can connect with each other on Instagram? If you're reading along, just include the hashtag on one of your reading-related photos, and that way you can see who else is joining along. Now, I was a Spanish major, not a Marketing major -- so hit me up with your creative hashtag ideas! The smore bundle is the nearest idea! And oh so yummy. I had a smores dessert this week while traveling - it was amazing. You should stop over and take a peek! I love to read and have been looking for a book. I will check out tori post on the book thief. Happy Friday!! I don't have an Elsa top, but that is good to know for future reference! Dry cleaning is the bane of my existence! I have several shirts from Nordstrom and a few other places that say dry clean only, and one day I just tossed them in the washing machine on delicate, and they came out fine:) Ain't nobody got time for dry cleaning. The Book Thief is AMAZING! You're going to love it so much! I hope you have a great weekend with you in-laws and can slip away for a few minutes to read! Cozy weekends with family are always so much fun. I just saw #adventuresinreading mentioned above. That's really great, too!! I was thinking #bloggerslovebooks ?? Excited no matter what! I had no idea I could clean my elsa tops at home! Going to give this a try this weekend. I love that you have a dinner club! Where do the husbands go with the kids? I would love to start one here with my friends!! And, I cannot wait to read Book Thieves! It's been on my list forever! You are making me want to read The Book Thief! I read The Nightinggale by Kristin Hannah and it seems to have some similarities. I'll put that next on my list! Right now I'm reading For the Joy by Jen Hatmaker, a wonderful blend of humor, faith and advice on finding balance. Highly recommend! 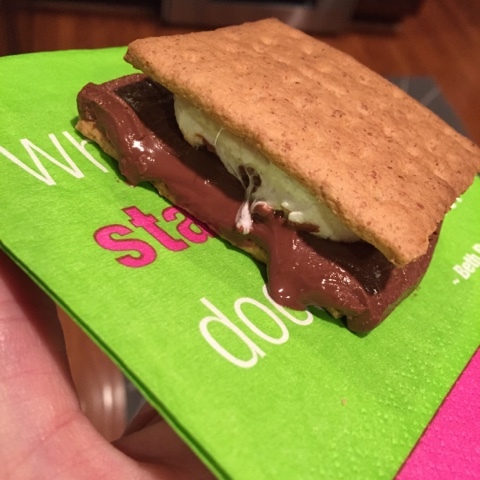 Love the smores idea! That's such a yummy treat and fun summer/fall favor. I am partway through the book thief so I will definitely follow along with this!! That peanut butter pie sounds SOOO delicious!!! I like #adventuresinreading too! I'm really excited to read along with everyone! Monthly supper club sounds so fun! 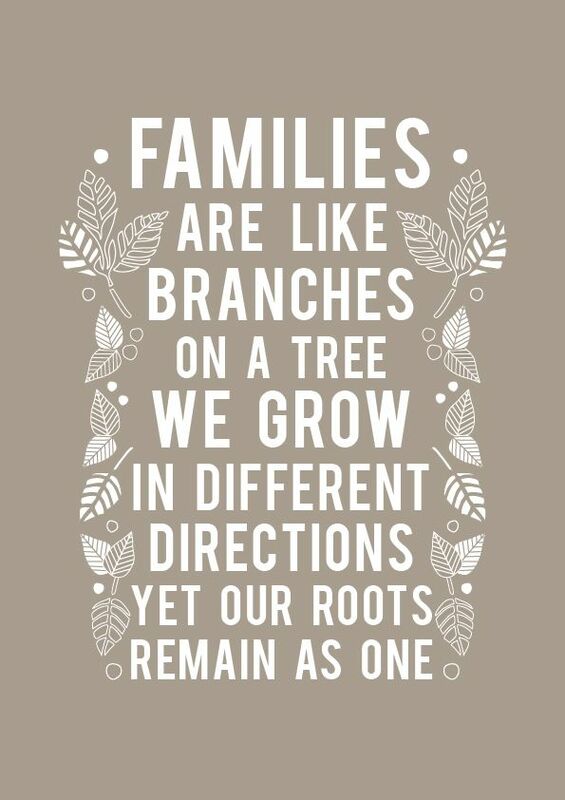 Love that family quote! 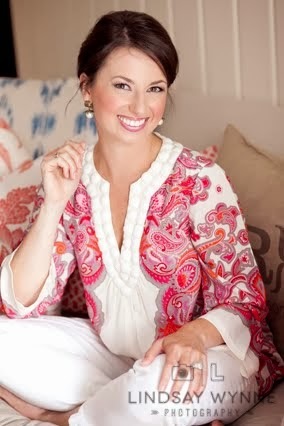 My SIL & BIL used to do a supper club & I want to start one so bad! Always sounds like so much fun!! That top is so cute!! Hope y'all have a great weekend!! Thank you! I've been wondering the same with my Elsa's..... And wow! What sweetness you gave Mr. Strong at the end of his life. Thank you for sharing that :) Enjoy your special weekend! What a cute idea with the s'mores! (And now I want one so badly! Ha!) Dry cleaning kind of weird me out, too. The only thing we take are my husband's wool-blend dress pants. I used to take his dress shirts, but now that I'm staying at home with Walker, I wash them, dry them on delicate and iron them myself. It has saved us SO much money! I have lots of tops that are dry-clean only and I always use Dryel (you can find it on Amazon). It is the best stuff ever. Just add 3 or 4 articles of clothing to the Dryel bag, add one of their Dryel sheets, and pop it in the dryer for 30 minutes. Everything comes out perfectly fresh and clean. Done. Boom. I was my elsa's on delicate, spin them in the dryer for a couple minutes to get wrinkles out and then air dry and have never had a problem! I swear I say this every moth, but I'm dying to start/join a supper club! As far as my Elsas, I wash them on gentle in a mesh bag with Nordstrom lingerie wash, toss in the dryer for two or three minutes and dry hanging on a padded hanger. I do typically take them to the dry cleaner twice a year, too. So far, so good! I just love the idea of Supper Club! would love to start that up with some friends! Thanks for the book recommendation - I'll have to pick that one up this month! I am in love with the s'mores favors!! I've always wanted to join/start a supper club!! They seem like so much fun, but I don't know how I would ever fit it into our crazy weekly schedule. Have a great weekend! Love that Elsa top!! I'm sure the colors look amazing on you! Wow, this list is fun! I used to bring a lot of my wife's "delicate" tops and dresses to the dry cleaners but since owning a Jiffy, I sanitize those at home now. I find it more natural not to mention the cost-effective way to clean it.